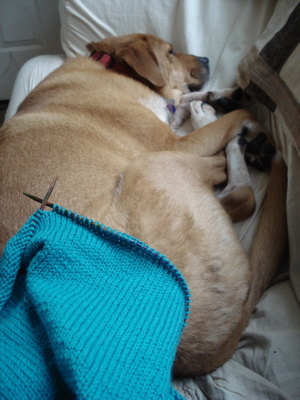 I knit one more row on my shalom today. Boh napped. I managed to snap a picture.